We have enjoyed our various fundraising activities in 2017 so much that we have decided to continue along the same lines for 2018. 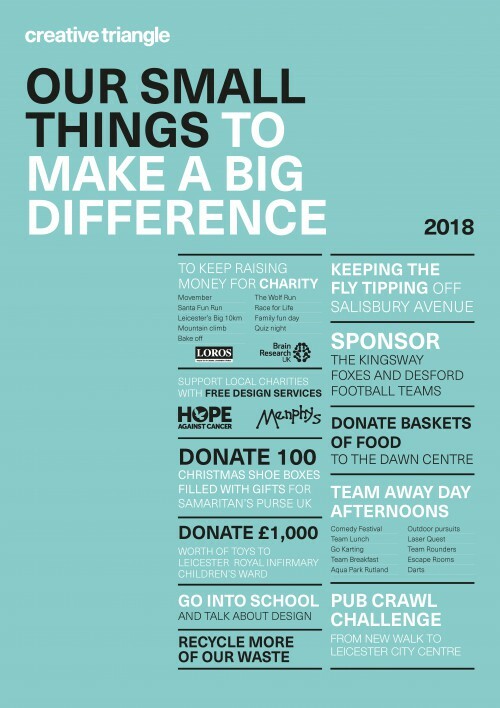 As a team, we have chosen two charities close to our hearts – Local hospice Loros and Brain Research UK – to support this year. We are also in talks to start supporting Hope Against Cancer with free design work and marketing advice. 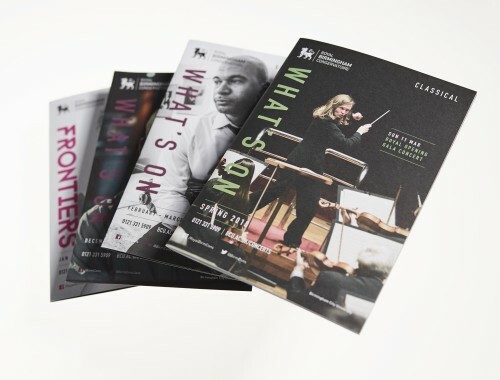 It’s an exciting time for our client Birmingham Conservatoire – or should we say Royal Birmingham Conservatoire – a new building, a new title and with it a new look for their ‘What’s on’ guides. Creative Triangle were appointed to refresh and modernise their quarterly event information guide ready for the soft launch of the new, purpose built performing arts institution. Our design concepts needed to reflect the perfect fusion of music and acting and of traditional and contemporary – they needed to be creative, inspiring and really promote the Conservatoire as a forward thinking and extraordinary place to be. 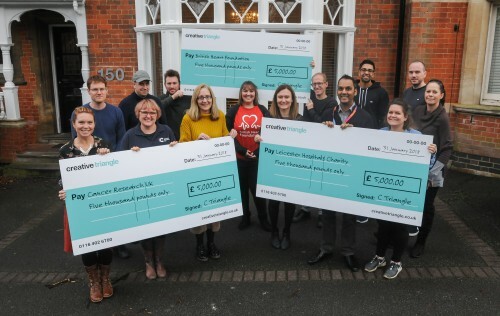 To round off our big year of fundraising for Leicester Hospitals Charity, British Heart Foundation and Cancer Research UK we invited representatives from each charity to our studio to officially handover our cheques for the final amount – £5,000 each (£15,000 in total!!!). We have had such a good year of team bonding through our charity and community activities we have decided to continue our efforts in 2018. Watch this space for who we will be supporting this year.